What are your hopes and dreams for the Outer Banks… ten years from now, twenty years from now? What kind of community do you want to leave for our children, our grandchildren, and the generations after them? At the Outer Banks Community Foundation, these are the conversations we have every day, because our job—our mission—is to invest in the future of this amazing place we are privileged to call home. And as we talk with our neighbors about our community’s future, we hear the same words again and again: opportunity, resilience, quality of life, compassion, generosity. We want to share our vision for the Outer Banks of tomorrow, and examples of how we’ve already invested in that vision. Second, we invite your contributions for that future—your ideas, your enthusiasm, and your generous financial support. With your help, we can shape the Outer Banks’s future, and make our home an even more wonderful place for generations to come. College education is just one opportunity we endeavor to provide for our young people. 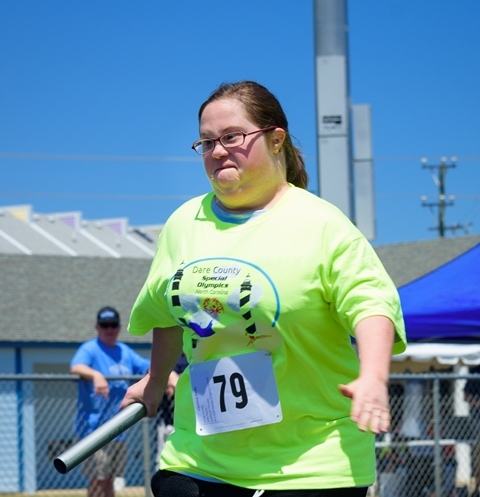 Thanks to our donors, last year we made strategic grants to Special Olympics, Mano al Hermano, Children and Youth Partnership, After Prom, and dozens of other charities, providing educational and enrichment opportunities to youth of all circumstances and abilities. Community Resilience: We’ve been hard hit by many storms in recent years. What can we do to prepare our community for future disasters? With your help, the Community Foundation will continue to invest in the resilience of the Outer Banks, not only by building our Disaster Relief Fund to help future victims, but by investing in our local emergency infrastructure. For example, already this year we’ve purchased generators for Hatteras Island, radio technology for first responders, and smoke detectors for at-risk households. Quality of Life: Beautiful beaches, artistic offerings, our rich, cultural history… how can we preserve and enhance the amazing quality of life that draws so many of us to the Outer Banks? Thanks to our donors, the Community Foundation has invested significantly in local arts, culture, history, and the environment. Over the past year, our grants supported the Dare County Youth Orchestra, will help restore the historic Ocracoke Island Inn, jumpstarted the campaign to build new, outdoor art space in Manteo, launched the educational efforts of the Pea Island Preservation Society, and will help create a children’s learning center at the Elizabethan Gardens. Your gift would continue to make the Outer Banks an even more wonderful place to live, work, and visit. Compassion and Generosity: We could keep writing about wise and strategic investments, but perhaps more than anything, what makes our Outer Banks so very special, is the breath-taking compassion and generosity of our people. This is a community that rolls up its sleeves, empties pockets, and helps, always, when a person or family needs assistance. The Outer Banks Community Foundation is building our permanent source of support for people in need. A recent grant to Interfaith Community Outreach will significantly expand their capacity to help cancer patients. Other grants have built a playground at a local safehouse for domestic violence victims, purchased toiletries for high school students who can’t afford their own, and provided resources for people with dementia and their families. We even have special funds for animals, which have provided grants to help injured raptors, sick sea turtles, and homeless kitty cats. Our community is unfailingly generous and compassionate, and I hope that you can be generous today by making a tax-deductible gift to the Outer Banks Community Foundation. From the island of Ocracoke to the beaches of Currituck, and all across Dare County, your donation would care for the sick, provide food for the hungry, and offer opportunities to people of all backgrounds and abilities. Your donation would help preserve our history, introduce students to music, and assist victims of storms. Will you invest today in the future of our home? Please go to www.obcf.org/donate to make a secure donation, or mail a check with your generous gift to 13 Skyline Road, Southern Shores, NC 27949. Unless you designate your gift for a specific fund, your contribution will go directly into the Community Fund, which is our largest grant-making resource, helping dozens of diverse charities across the Outer Banks each year, like the ones mentioned. But more than just grants, your gift to the Community Fund will be part of every single scholarship, grant, and resource we provide. And it’s a permanent endowment, which means your investment will help your neighbors for generations. Thank you, thank you, thank you! We so appreciate your trust in the Community Foundation, and your investment in the Outer Banks’s future. With your support, together we can fulfill those dreams for our community—starting right here and right now! P.S. Will you help make dreams for the Outer Banks come true? Please visit www.obcf.org/donate and invest in the future of our community today.